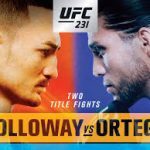 The UFC is closing out the year with a very solid UFC 232 pay-per-view card that will be headlined by the Jon Jones vs Alexander Gustafsson rematch and a very …. Last weekends UFC 231 event in Toronto was a blast. The atmosphere in the arena was great and the main event was edge of your seat action with Holloway showing …. 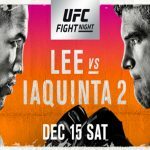 The UFC is coming to Toronto this Saturday with a PPV card that Canadians should be very excited about. I will be at UFC 231 this Saturday and I’m very excited …. My week 13 Sunday got off to a great start with the Texans easily covering the 6 point spread while hosting the Browns. I then fell asleep at half time ….